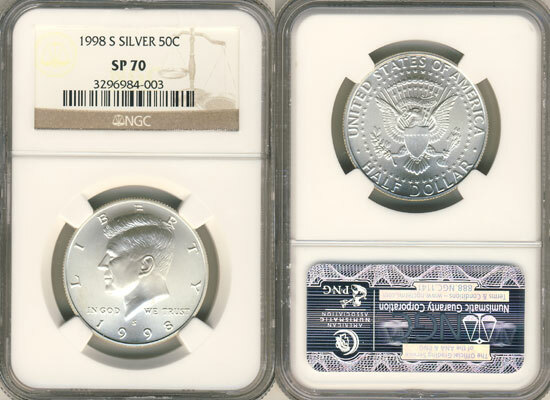 Last month we reported that Professional Coin Grading Service instituted a new crossover policy for Collectors Club members and authorized dealers, allowing them to submit mint state and proof coins graded 70 by another service with those top grades cited as the minimum acceptable crossover grade. Previously, PCGS would only allow crossovers to have a minimum designated grade of MS69 or PR69. At the time NGC still had that policy. But now it has changed it to mirror PCGS’s policy, announcing this week that it will now accept crossover submissions of coins graded MS 70, PF 70 and SP 70–but only ones holdered by PCGS. You can read the corporate announcement here. Once again, NGC has missed an opportunity to allow crossover consideration for all holdered coins, clinging to its curious policy of only considering PCGS for crossovers. That policy began in 2011 after an internal review reported the greatest number of NGC Customer Service complaints stemmed from its inclusive crossover policy. Customers purportedly were confused and angry when their coins failed to earn an NGC label and holder. To those customers, many of whom sent in self-slabbed or bottom-tiered coins to NGC, we say: “Learn the hobby, study grading, know the top-tiered holder companies, and stop complaining.” We wish a company as consistent and respected as NGC had the same numismatic ethic as ours. That said, we welcome this new NGC policy, because it is more inclusive. The NGC Registry is large because it allows PCGS coins to be considered alongside NGC ones. As we have written previously, this is one more argument against NGC’s restrictive crossover policy because there is little reason for hobbyists with PCGS coins to send them for NGC crossover. PCGS coins are automatically accepted. Not so with PCGS, which only allows its coins to be in set registries. Crossover service and set registries are linked, although it may not be obvious to others, including NGC. Owners of ANACS, ICG, SEGS and PCI coins, to name a few, routinely send their coins to PCGS for crossover consideration. If they do, and they do grade frequently, by the way (although not always at the same grade, of course), the owners have coins worthy of both NGC and PCGS registries. The more coins crossover to PCGS, the better the chances of hobbyists going entirely PCGS, sending in NGC coins for PCGS crossover consideration to have an entire set with that top label. There is some truth to Salzberg’s assertions, especially in proof modern coinage in the 1970s and 1980s. NGC tends in several coin categories to have slabbed PF70 fewer times than PCGS. Example: only 57 1977-S Ultra Cameo dimes were slabbed by NGC as opposed to 349 by PCGS. 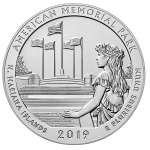 However, that’s not the trend in two popular modern series in mint state: Modern Commemoratives and American Silver Eagles. A comprehensive check of recent auction sales (source: PCGS CoinFacts) and population reports (PCGS/NGC) indicates that 29 PCGS MS70 coins in the Modern Commemorative series bring substantially higher prices than NGC coins, with no NGC coin bringing higher values than PCGS. The rest are statistically insignificant, especially later in the series when the US Mint began striking superior coins worthy of the MS70 rank. An example of the latter is the 2010 Boy Scouts commemorative, which sells for about $70 in an NGC or PCGS holder. PCGS has slabbed 2720 such coins MS70; NGC, 3262. The disparities are even greater in the uncirculated Silver Eagle series, one of the most popular categories among hobbyists. PCGS values in the ultimate mint state grade are equal to or surpass NGC’s in value. Further, PCGS has not slabbed any coin MS70 in these years: 1989, 1990, 1991, 1992, 1993, 1994, 1996 and 1999. If anything, owners of NGC coins with these dates above might consider sending them to PCGS for crossover consideration. Imagine the value of such coins for PCGS Silver Eagle set registrants! Here’s another example: PCGS has only slabbed 3 1986 Silver Eagles MS70. One sold for $21,150 in the February 2013 Long Beach signature auction. NGC slabbed 1,294 1986 Silver Eagles MS70, and they sell for about $600 each in the present auction marketplace. 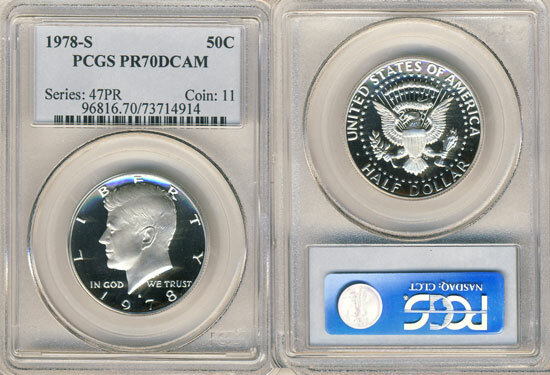 Who in their right mind would want to get a MS 70, PF 70 out of a PCGS holder? I hear you. Some proof coins sell for good premiums above PCGS on certain years. This is another reason why NGC should consider all slabs for crossover, not just PCGS. And neither company has answered my question whether the cross-over labels will include the First Strike designation by PCGS or the Early Releases designation by NGC. I can’t imagine they would include that. First Strike/Early Release are different trademarks and not part of grades.